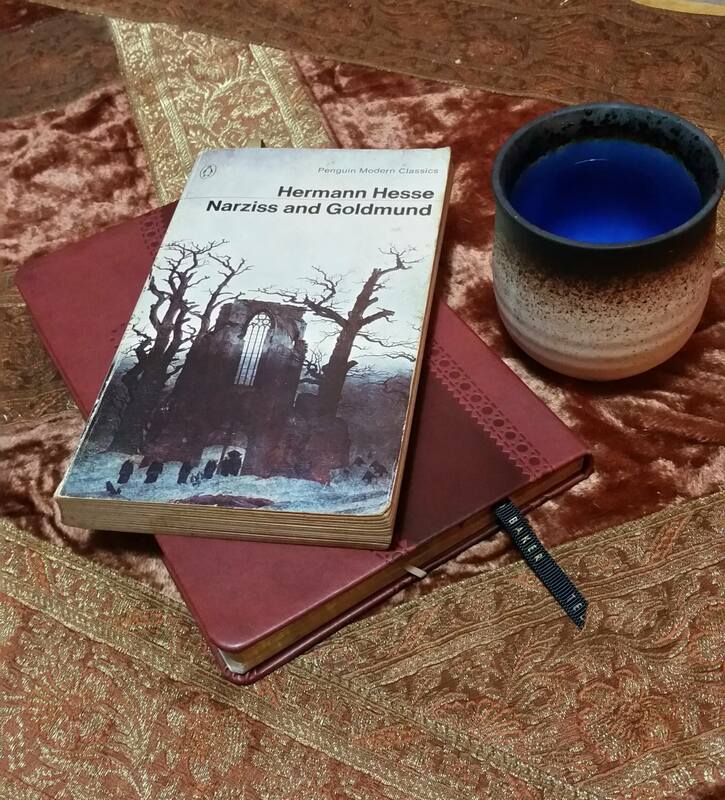 First published in 1930, Narziss and Goldmund forms part of a profoundly insightful body of work by Hermann Hesse. I visited Goodreads and was not surprised to find well over a thousand reviews. I’ve only read the first few, and I’m left wondering what I can add that would contribute to the collective understanding of this work. I will admit I am not a scholar of literature or history, nor have I read any biography of Hesse. I first came across his work in my twenties and devoured Steppenwolf and The Glass Bead Game among others. Back then I had not a clue about the spiritual path or western esotericism. But decades have passed and now I do, and it is with fresh eyes that I can perhaps see what Hesse might have been trying to achieve. In Narziss and Goldmund, Hesse presents the reader with two sorts of spirituality and the two paths that unfold from each. Narziss is destined to be the Abbott of a cloister. He is a philosopher, a thinker, living close to God in the realm of the abstract mind. He is the archetypal master of wisdom. His pupil, Goldmund, is at odds with himself. Memory of part of his childhood is denied him and when he awakens to it, he begins a journey of self discovery that takes him away from the cloister and out into the world. Not the ordinary world of duty and work and family and community. His reality is akin to Arjuna in the battlefield, as written in the Bhagavad Gita; a journey through the realm of extreme emotions, with desire and lust on the one hand, and death in all its forms on the other. So intense are Goldmund’s responses, that at first he cannot find meaning. But eventually, as he journeys into and through the experiences that befall him, he does. He is a seeker, and the journey is an initiatory one, culminating in the realisation that we transcend the ravages of the emotions through the faculty of imagination, and its finest expressions in art. Those who resonate with this story are engaging with a work of visionary/metaphysical fiction of enormous profundity. Those who see past the compulsions and shallow satisfactions of the flesh; detect the irony in Goldmund’s relentlessly questioning mind; see into his frustrations and emerging detachment; may understand that through his character, Hesse is portraying the most fundamental pairs of opposites upon which human experience is cleaved: woman and man; lust and death, passion and intellect, good and evil. And the esoteric thinker will also understand Hesse’s portrayal of the transmutation of the emotions through the faculty of imagination; the image maker within, existing on the plane of intuition, sees in patterns, in completed wholes; thus it is through the harnessing of this faculty of the soul through the imagination that the artist stills the emotions and imbues them with the stamp of something transcendent and universal. And so it is through this process that the pairs of opposites may sit in loose unity. I’ve long admired Hermann Hesse’s work. I resonate with it now more strongly than ever. As an author I’m in awe of his achievement. Narziss and Goldmund is not a piece of entertainment; it’s a literary portrayal of the spiritual path.